This Prestige Collection John Deere 1:50 Scale 50th Anniversary Model 544L Wheel Loader from Ertl is a highly detailed, quality replica of the original, but it's not your typical John Deere equipment. 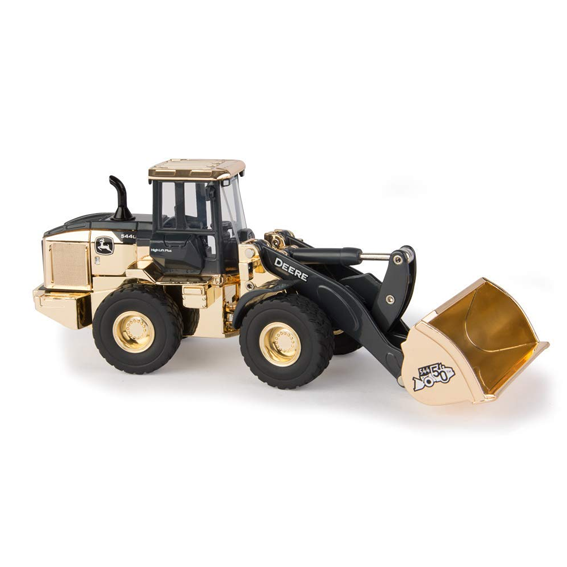 This GOLD CHROME finish Limited Edition Loader is a One-Time production toy, and is available only while supplies last. In addition to the Gold Chrome Finish, other features include die-cast metal construction, rolling wheels, articulated steering, moving loader, opening engine detail, cooling system panels, special 50th Anniversary decals, and other authentic details. It is a truly unique gift for the John Deere toy collector!